This is the Reliks story. 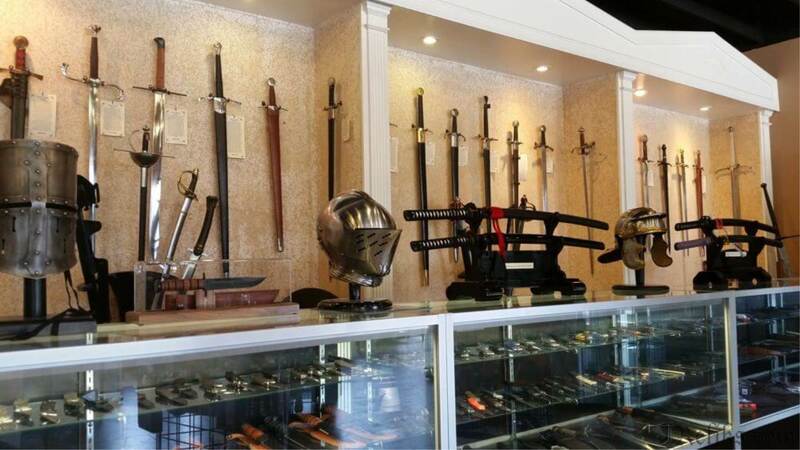 We are retailer of swords, modern day knives and medieval\movie style collectibles. We are also collectors ourselves, with an deep appreciation of the history and the origins of the products that we offer. Our interests have expanded in not only medieval swords and armor but to �modern swords� like the machete, hunting knives and EDC folding knives. After collecting for years we started to see exciting changes in the sword industry. Several great companies had began to produce real hand forged swords instead of what we call today �wall hangers� and we wanted them. These swords were as close to originals as you could get and there were limited sources in North America. We began importing them from companies located in Spain, China and India. We were bringing so many pieces in that we start selling them online, flea markets and renaissance fairs. After the days of the Reliks homepage we began to grow into a recognized brand and have expanded our website and presence on the internet and social media sites while maintaining a full retail brick and mortar store in London, Ontario. We are now producing video for our youtube channel ranging from full product overviews to short product teasers. We continue to work with forges for exclusive Reliks products as well as continue to source out new exciting pieces from around the world. Reliks is an Ontario, Canada based corporation but has always operated as a �family type� business. We have always believed that whether our team consists of two people or one hundred people that we all should be involved in everything. If you have ever visited our retail store, called our toll free order line or received a parcel from us, there is a good chance that you have spoke with, met or had your parcel prepared by one of our companies founders. When did you decide this was a career? Moving from collector to career is a big step and was not an easy one, but it started with a simple dream. Co-Owner and President Jamie Meiklejohn and Co-Owner and Secretary Chris Howard decided to make the commitment April 1st 2000 and registered their small business as an Ontario partnership before incorporating 2 years later. At the time Jamie had a management career with a well known Canadian tool company where one of his duties was new store start ups. Chris, a hobby programmer was working as a quality inspector for a large manufacturing facility. Jamie left his career surviving off his personal savings for the first year of business while Chris continued working at the manufacturing facility while writing software and designing the website for Reliks.com. The two worked around the clock, weekdays and weekends for two years building Reliks into a sustainable retail and online business before expanding from a small downtown shop to distributing products to retailers across the country and finally bringing on their first employees. Reliks has the advantage of being very dynamic who's founders are very involved and passionate about what Reliks has become and what it may evolve into. We are very selective of the products we carry and will continue working with manufacturers to bring our customers exclusive products as well as the best swords, knives and collectibles that this industry has to offer. We are always looking at new opportunities and adapt as our interests change. Simply put, If we like it, we do it and if we don't we won't and we wouldn't have it any other way. Looking for a way to dispose of unwanted swords or knives? 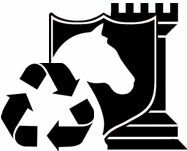 Try the Reliks Recycling Program, It's FREE!